Delicious smoked pork chops topped with aged cheddar and More Than Mustard. 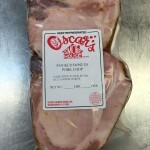 Place the Oscar's Smoked Pork Chops on a hot grill until cooked to a temperature of at least 145F all the way through, turning at least once. 2) Melt a slice of Oscar's Aged Cheddar Cheese over each chop. 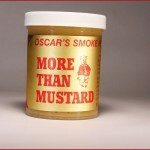 3) Serve with Oscar's More Than Mustard as a dipping sauce.